As temperatures drop and winter looms, homeowners and property managers are sweeping chimneys, insulating pipes and swapping screens for storm windows. They're also going beyond traditional winterizing by installing smart thermostats and home energy monitors aiming to lower utility bills. Smart thermostats—which let consumers adjust their home temperatures remotely using any internet-connected device—are among the most popular smart home technologies, generating $1.3 billion in sales globally in 2017, according to Navigant Research. 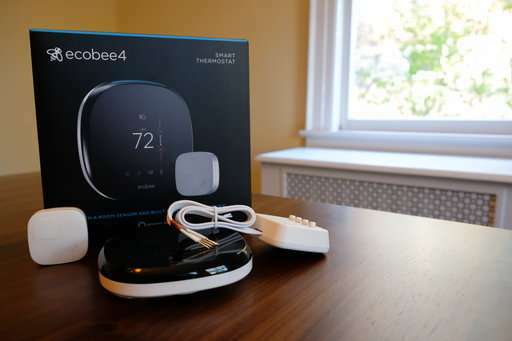 Some models use geofencing technology and multiple sensors placed throughout the house to adjust temperatures in individual rooms when a resident walks in, maximizing comfort and efficiency. Just how much consumers can save by installing smart thermostats—which generally range in price from $150 to $250—depends on a variety of factors, but Nest, one of the most popular smart thermostat companies, estimates users can save $131 to $145 on their energy bills per year. Many utilities are offering heavy discounts on smart thermostats in exchange for enrolling in so-called "demand response" programs, which let utilities periodically reduce customers' electricity usage so they're not demanding as much energy from the grid, said Dan Wroclawski of Consumer Reports. "When you join a demand response program, you usually get some sort of rebates, and the best deals we saw were bill credits that happen annually," Wroclawski said. "When you agree to these programs you are ceding some level of control. But if it's bothering you—if you're too cold or too hot—all you have to do is go up to the thermostat and turn it up or down and the demand response program will essentially just realize, ok, they're ignoring us." 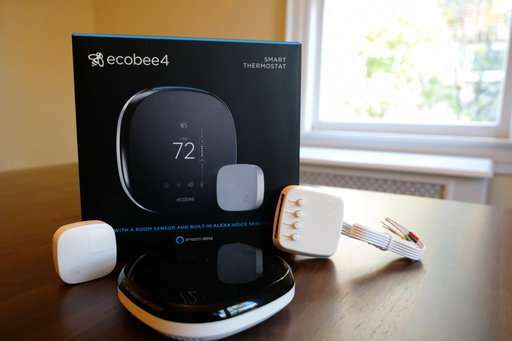 Nationwide, nearly 1.4 million customers are enrolled in programs that allow utilities to turn their thermostats up or down, and more than 40 utilities with thermostat programs took advantage and adjusted customers' temperatures about 8 times per year, according to the Smart Electric Power Alliance. But people sometimes opt out of the programs when, for example, it's a very hot day and they don't want their air conditioning turned down; and that's the exact time utilities need people to stick with the program. Some utilities have similar programs that allow them to temporarily turn off customers' electric water heaters, and they find customers are less likely to opt out of those scenarios because they don't really notice an impact. Other utilities are offering "time of use" or hourly rate programs, which encourage customers to run dishwashers or other appliances at times of day when electricity rates are cheaper. In Illinois, where the two main utilities offer hourly rate programs, customers save about 15 percent off their utility bills per year, said Sarah Gulezian, senior manager of dynamic pricing programs at Elevate Energy. With the utility ComEd, 24,000 customers saved a combined $19 million over the past decade, and at Ameren, 12,000 customers saved more than $11 million, she said. Customers don't need a smart thermostat for the Illinois utilities' programs, but they do need a smart meter, which is provided by the utility. They can adjust their home temperatures or appliance usage themselves when they get email or text alerts letting them know the electricity price is rising or falling. Such programs benefit low-income households that don't necessarily have access to smart thermostats and whose electricity bills eat into a larger portion of their household income. "From our research we've found that almost everyone can benefit from this," Gulezian said. "By taking simple actions, you can help save on your electricity bill and have a positive impact on the environment as well." New electricity meters are smart—but are they trusted?